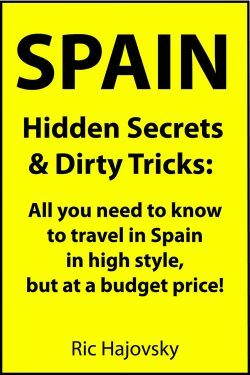 is a very different kind of Spain travel guide: It lets you in on dozens of secrets and tricks to traveling throughout Spain in high style at a budget price like no other guide does! Its many tips and warnings are guaranteed to save you several hundred dollars, and the special knowledge revealed in its pages will help you get the very most out of every day of your trip, no matter what part of Spain you visit. Save hundreds of dollars on your trip to Spain and have the best trip of your life!